TAABINGA Rotary Club members are on a mission to foster a love of reading while supporting the community. Every year, Rotary member Darryl Roberts and his wife head up a team of six volunteers to organise the Taabinga Rotary Club's Bookarama. "We want to see more and more kids reading,” Mr Roberts said. They spend an entire year sourcing, pricing and categorising the donated books to be able to sell them at bargain prices in the Kingaroy Town Hall. And every year they seek out the charities most in need to donate the money raised from the Bookarama to. "All of the money gets ploughed back into the community, whether it's in the South Burnett or the wider community,” Mr Roberts said. 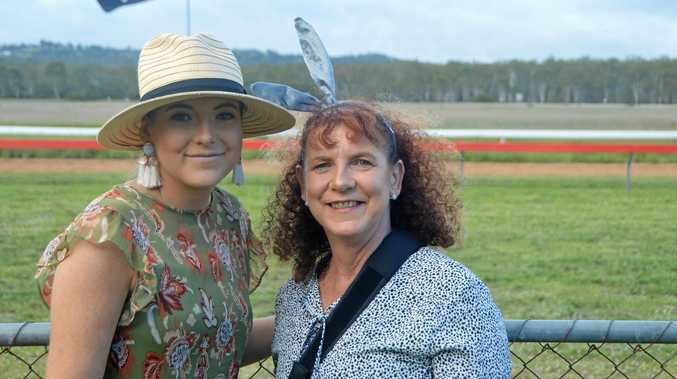 For the 10th Bookarama, held in September, they chose three charities to give to - The Kingaroy Hospital Auxiliary received $5000, Rural Aid was given $3000, and the Royal Flying Doctor Service was awarded $2000. They also gave The Rotary Foundation $US1000. The money donated to the Kingaroy Hospital Auxiliary will go towards new ultrasound equipment. Kingaroy Hospital Auxiliary treasurer Peter Mortimer said the donation would bring their funds for the ultrasound up to $44,250. "It's great, it's unexpected and has brought this project along,” Mr Mortimer said. The Auxiliary hopes to reach its fundraising goal of $47,000 by June next year. Auxiliary publicity officer Pamela Lincoln said the sole portable ultrasound machine was constantly moved from the operating theatre to the hospital's emergency department. "It has been causing waiting times and continues to prove stressful to medical staff, especially when it's needed in both areas at the same time,” Ms Lincoln said. The second ultrasound will be crucial for the hospital as the redevelopment increases the distances between the emergency rooms, theatres and entry points. 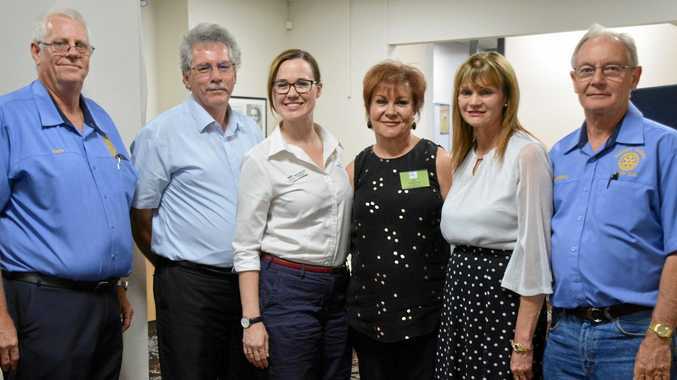 "The Kingaroy Hospital Auxiliary is so indebted to The Taabinga Rotary Club for their excellent support and generous donation which is going to benefit all in the community,” Ms Lincoln said. Donations for the 2019 Taabinga Bookarama can be dropped off at Kingaroy IGA or Ken Mills Toyota. Bookarama is held every second weekend in September, with novels and children's books the most popular page-turners.